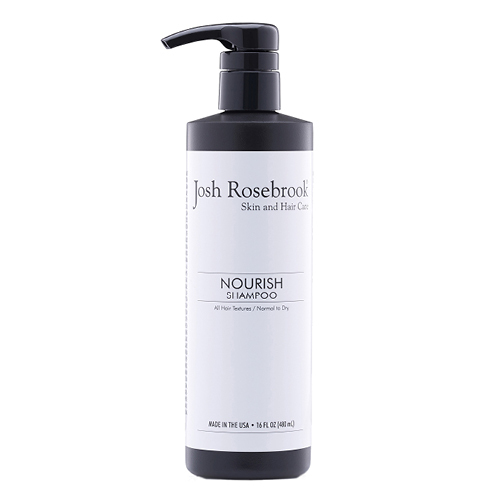 Nourish Shampoo by Josh Rosebrook is luxuriously formulated for all hair textures and is especially ideal for those with normal to dry hair and scalp conditions. Hair is cleansed of impurities and excess oil thanks to the harmony of Aloe Vera, African Black Soap, Dandelion and other potent herbal infusions. Rich plant oils and distinct herbal blends lend a soothing feel to scalp conditions, while encouraging a look of healthy elasticity and shine. Apply a small amount and massage onto hair and scalp thoroughly. 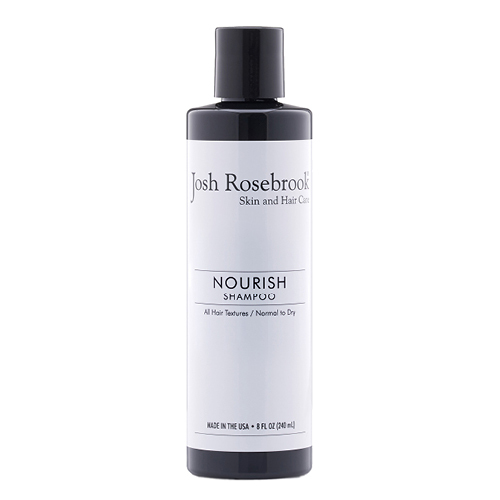 Leave on for up to three minutes to provide a stimulated and nourished feel to follicles and scalp. Rinse.